Hansika’s 50th movie title was supposed to be released by Dhanush on day before yesterday, August 9th for her birthday, but to show respect for Kalaignar Karunanidhi’s respect, it was postponed to a later date. And now, on 11th August at 8.30pm, actor Dhanush launches it as per plan in his Twitter handle. Hansika 50 is titled as 'Maha'. 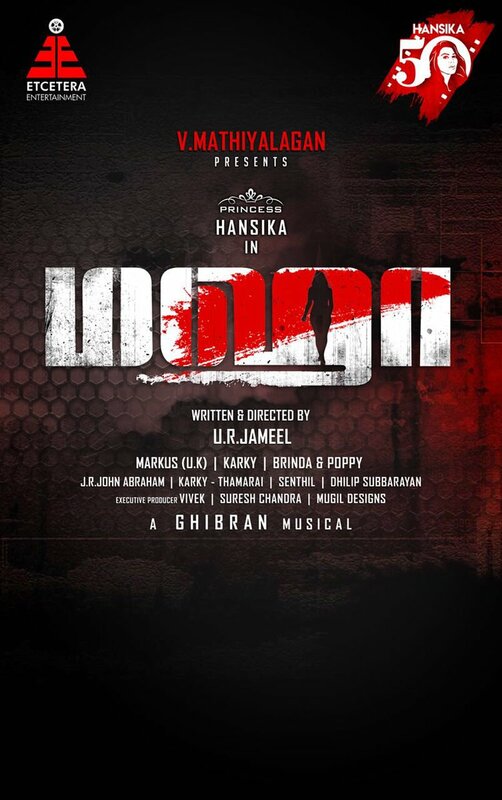 Music is scored by Ghibran and the film is directed by debutante Jameel.